According to an old superstition, it’s good luck to find a penny on the sidewalk. But whether or not you believe picking up that penny will bring you luck, one thing it definitely won’t bring you is wealth. Pennies are worth so little now that by taking five seconds to pick one up, you’re earning just $7.20 an hour – less than the federal minimum wage. Pennies are so close to worthless that many people argue it’s time to do away with them altogether. A nonpartisan organization called Citizens to Retire the U.S. Penny has attracted the support of economists from Harvard and Wake Forest University. Representative Jim Kolbe of Arizona has twice introduced bills in Congress to eliminate the penny, and in February 2014, President Barack Obama argued during a YouTube chat that pennies were obsolete and a symbol of U.S. government waste. However, while many people are calling for the penny’s retirement, others are working just as passionately to keep the coin in circulation. A lobbying group called Americans for Common Cents – which represents Jarden Zinc, the company that makes the zinc and copper blanks from which pennies are produced – has conducted polls showing that more than two-thirds of Americans favor keeping the penny. On its website, the group marshals an array of arguments that eliminating the penny would lead to disaster for consumers, charities, government, and the economy as a whole. Each side in this debate refers to the other side’s arguments as “myths” and offers up “facts” to counter them, making it hard to determine just where the real facts lie. Here’s a summary of the arguments on each side, along with the evidence for and against them. The arguments for halting production of pennies basically boil down to the fact that “they’re more trouble than they’re worth.” Pennies today are worth almost nothing, but they still cost money to produce and consume vast quantities of natural resources. To anti-penny activists, that’s a lot of costs for a coin that can’t even buy a ball of gum anymore. When the Baby Boomers were young, a penny still had some value. Economist Henry Aaron of the Brookings Institution, a nonprofit research group, reminisces in a 2013 anti-penny screed about paying a nickel for an ice cream cone as a boy. Even during my childhood in the 1980s, there was a candy store not far from our house that sold “penny candy” in jars – one penny for a mini Tootsie Roll, or two for a Mary Jane. Today, there’s literally nothing you can buy with a single penny – and you can’t do much else with it either. Vending machines don’t accept them, and neither do most parking meters. Even automatic toll booths won’t take them – except in Illinois, the home state of President Abraham Lincoln, whose face adorns the coin. There are precedents for getting rid of coins that are too small to use. Back in 1857, the U.S. Mint stopped producing halfpenny coins – which, according to the historical information calculator at MeasuringWorth.com, had a purchasing power of $0.14 in 2015 dollars. So at the time it was eliminated, the “useless” halfpenny could buy as much as 14 pennies can today. If consumers in 1857 could get along without halfpennies, then modern consumers can almost certainly manage without a coin that’s worth less than one-tenth as much. As useless as pennies are, most of us can’t avoid them. Often, when we pay with cash at a store, the total amount doesn’t end in a multiple of $0.05 – so to pay the exact amount, we have to either hand over some pennies or receive some in change. This not only weighs down our pockets, it also holds up the line while we mess around counting out coins. Citizens to Retire the U.S. Penny cites a study done by Walgreens and the National Association of Convenience Stores showing that handling pennies adds an average of two seconds to each cash transaction. That doesn’t sound like much, but a 2012 study by three Federal Reserve Banks shows that the average consumer makes 23 cash transactions in a single month – and according to the Bureau of Labor Statistics, there are over 316 million consumers in the country. Add it all up, and it comes to more than 48 million hours wasted each year. To save time at the register, some businesses have experimented with rounding all transactions to the nearest nickel. The New Jersey Star-Ledger reports that several Chipotle restaurants tried this in 2012, but customers who had extra cents added to their bills complained. Rather than drop the practice completely, however, the stores decided to simply round all bills down to the nearest $0.05, since losing a cent or two on most transactions was cheaper than paying clerks to count out pennies. Supporters of the penny don’t buy this argument. Americans for Common Cents, the pro-penny group funded by the zinc industry, calls the claim “absurd.” In the first place, the group argues, employees who spend less time counting out change won’t necessarily spend it on other, more useful tasks. It also says there are “many reasons to believe” that time spent at the register could actually increase, rather than decrease, if pennies are eliminated – but it doesn’t actually say what those reasons are. Despite what the old song says, pennies don’t really come from heaven. They come from mines in the earth – zinc mines, mostly, because pennies are more than 97% zinc. As the U.S. Mint explains, the copper surface of a penny accounts for only 2.5% of its metal content. According to the U.S. Environmental Protection Agency, zinc ores contain only 3% to 11% metallic zinc. Along with the zinc, the ores usually contain other metals, including toxic metals like cadmium and lead. In addition, zinc itself, though necessary in small amounts, is harmful in high doses to both humans and animals. All these toxic metals can contaminate water, soil, and plants in the area surrounding the mine. Producing pennies also uses a great deal of energy. It takes energy to extract the zinc from the ore, to roll it out and stamp it into coins, and, not trivially, to transport the coins to banks. Because pennies are worth so little, they’re much heavier than any other coin in proportion to their value. 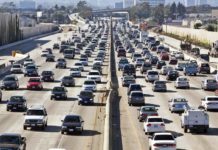 DesignLife-Cycle.org, a site created by students at the University of California, calculates that just transporting pennies to banks – not even counting any of the other stages of their production – puts about 1.5 million metric tons of carbon dioxide (CO2) into the atmosphere each year. Anti-penny advocates are fond of pointing out that pennies now cost more to produce than they’re actually worth. According to the 2014 Annual Report from the U.S. Mint, it now costs about $0.017 – or 1.7 cents – to make one cent. That means whenever the Mint produces a penny and sends it out to a bank, it’s actually losing money on the deal. The Mint has researched the possibility of making pennies from cheaper materials, but it found that there’s no way to bring the cost of producing them below their face value. Of course, spending $0.017 to make a coin that’s worth only $0.01 isn’t necessarily a bad idea, because coins are reusable. In theory, a single penny could be used for hundreds, thousands, or even millions of transactions before it drops out of circulation. However, this only works if the coins actually do circulate – and pennies, as noted above, often don’t. They’re so hard to use that they end up stuffed in jars or abandoned on sidewalks. As a result, the Mint just has to keep making more pennies at a loss. In 2014, the Mint shipped out more pennies than nickels, quarters, and dimes put together – over 7.9 billion coins. That adds up to a loss of over $55 million for that year alone. One problem with this argument, according to penny proponents, is that if there were no pennies, the Mint would have to produce more nickels. Nickels also cost more to make than their face value – about $0.081 apiece – so the Mint loses even more money on each nickel it produces than it does on each penny. Some of the arguments for keeping the penny are practical ones. For instance, penny supporters claim that eliminating the coin could harm the economy or hamper charities in their fund-raising efforts. However, other arguments are sentimental, having to do with the way people feel about the coin – and these arguments, because they’re not based on logic, are much harder to counter. Penny supporters point out that that if pennies are eliminated, all cash transactions will have to be rounded off to the nearest nickel. 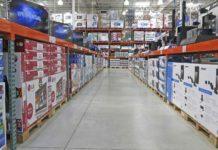 According to Americans for Common Cents, this will lead to a “rounding tax,” as stores manipulate their prices to ensure that transactions are always rounded up instead of down. Consumers using credit wouldn’t be affected by this, since their transactions could still be counted out to the cent. However, low-income Americans – who, as the Federal Reserve Bank study shows, are more likely than other consumers to pay for their purchases with cash – would be hit especially hard. The pro-penny group backs up its claim by pointing to a 1990 study by economist Raymond Lombra, who testified before the Senate Banking Committee that his “careful statistical analysis” of prices showed that rounding cash sales up or down to the nearest nickel would cost consumers more than $600,000 a year. Lombra also argued that this small change in prices would trigger an increase in the Consumer Price Index (CPI) and, consequently, in all government payments tied to the CPI, such as Social Security. However, a newer study by economist Robert Whaples, published by the Eastern Economic Journal in 2007, contradicts Lombra’s findings. Unlike Lombra, who simply looked at a convenience store’s prices and assumed that each consumer would buy three items in one visit, Whaples analyzed actual data from more than 200,000 convenience-store transactions in seven states. He concluded that once taxes and fees were factored in, consumers would actually come out slightly ahead on average with prices rounded off to the nickel. However, he also stresses that even if prices did increase, the difference would be so tiny it couldn’t possibly affect the CPI, and thus it could not trigger widespread inflation. Another piece of evidence against Lombra’s claims comes from Canada, which stopped minting its penny in 2013. Prices there are now rounded up or down to the nearest $0.05 for cash transactions, while payments made with credit, debit, or old-fashioned checks are still settled down to the cent. Since the changeover, according to Trading Economics, the inflation rate in Canada has wavered slightly up and down but has remained well below its historical average of 3.2%. In Canada, eliminating the penny has not led to a widespread increase in prices. Pro-penny groups argue that even if pennies seem worthless, they actually add up to hundreds of millions of dollars in charitable donations each year. Charities such as the Leukemia and Lymphoma Society, the Salvation Army, and Ronald McDonald House raise funds through “penny drives,” encouraging people to donate their unwanted pennies for important causes. The very fact that pennies have so little value makes them useful to charities, because people are happy to give them away. Penny opponents point out several problems with this argument. First of all, if the U.S. Mint stops producing pennies, they won’t simply lose their value overnight. Instead, the coins will be gradually pulled out of circulation. However, stores will no longer be required to accept pennies – so consumers will have even more incentive to donate the coins to charity, since they won’t be able to use them anywhere else. Second, once pennies drop out of circulation, the nickel will become the lowest-value coin cluttering up people’s pockets. So instead of penny drives, charities could start holding nickel drives, putting out bottles or wishing fountains to collect the new “useless” coins. And since each nickel is worth five times as much as a penny, charities would gather five times as much money with each spare coin tossed into the jar. 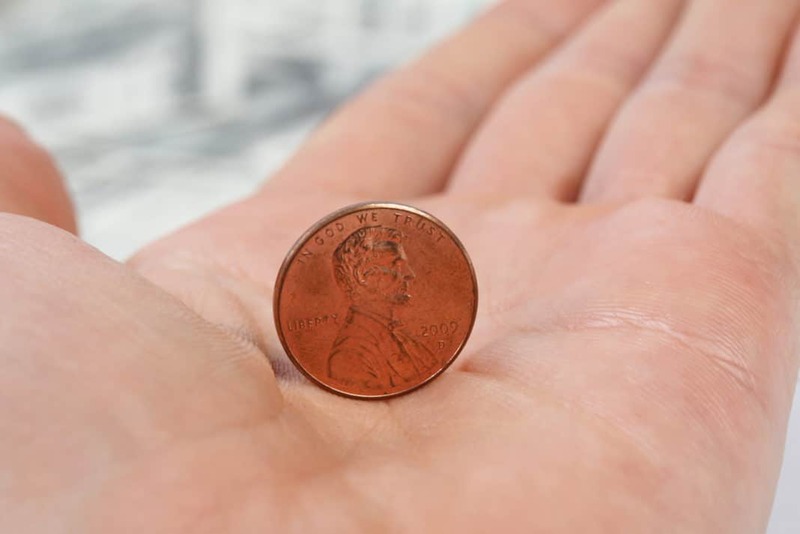 Citizens to Retire the U.S. Penny points out that in countries that have retired their one-cent coins, charities have not reported a significant drop-off in donations – though the group doesn’t provide any sources to back up this claim. Finally, small-change drives aren’t a very cost-effective way for charities to raise funds. It takes a lot of time for volunteers to pick up, clean, sort, and count all those coins, and the more pennies there are in the mix, the less value the charity gets for each coin it handles. And as it grows ever easier for charities to accept donations electronically, coin drives are likely to play a diminishing role in fundraising. Some supporters of the penny point out that it’s the only coin bearing the image of Abraham Lincoln, probably our nation’s most revered president. Eliminating the penny, they argue, would be disrespectful to his memory. Anti-penny activists scoff at this argument, pointing out that Lincoln would still remain on the $5 bill, which is actually useful to consumers. The bills, according to the Federal Reserve, cost only $0.11 to print, far less than their $5 face value, making them a much more cost-effective way to honor Lincoln than a penny that costs $0.017 to mint. Despite all the arguments for retiring the penny, as of 2014, the majority of Americans are in favor of keeping it. A YouGov poll from January 2014 shows that 51% of Americans favor keeping the penny, while just 34% think we should eliminate it. A 2014 poll by Americans for Common Cents found even stronger numbers in favor of pennies, saying 68% of adults want the penny to stay in circulation – although the fact that the poll was conducted by a pro-penny group suggests that the questions might be somewhat biased toward the pro-penny side. What’s less clear is why Americans are so committed to a coin with so little monetary value. Americans for Common Cents claims that support for the penny jumps when people are “educated about the issues around the penny, such as rounding at the cash register.” However, given that Whaples’ study shows price rounding is not a problem, it’s hard to see why knowing more about this “issue” would make people more strongly pro-penny. It’s possible that by “educating” the public, this group really means informing people about its own side of the issue only, not presenting both sides and letting people draw their own conclusions. President Obama, in his 2014 YouTube chat, suggested that Americans are “attached emotionally” to the penny because it brings back happy childhood memories of saving pennies in piggy banks and seeing them eventually turn into dollars. This is the least substantive argument in favor of keeping the penny, and yet, ironically, it’s probably the most effective. So long as most Americans remain attached to the penny – whether their reasons are logical or not – it’s unlikely that a bill to eliminate it will ever make it through Congress. It’s possible that what happens to the penny could end up depending not on the law, but on decisions made by businesses. If more businesses follow Chipotle’s example and start rounding down their bills, their customers will find themselves with fewer pennies in their pockets. As both stores and individuals stop keeping pennies on hand, banks won’t need to supply as many – and eventually, this reduced demand will result in fewer pennies being minted each year. What do you think? Should the penny remain legal tender, or should it be scrapped?